Visitors book a table for tasty dishes here and enjoy the sights of Centro Nautico Valencia. Spanish cuisine provides flavorsome meals at this restaurant. Many guests say that waiters serve perfectly cooked smoked chorizo, tapas and pintxos here. Delicious Sangria, chardonnay or lager are the best drinks of Pintxo i Trago. You will hardly forget great espresso that you can find. It's easy to find this place due to the great location. This spot is recommended for the accommodating staff. The good service is something these restaurateurs care about. You may be surprised by attractive prices at this restaurant. The lovely decor and cool atmosphere let clients feel relaxed here. On TripAdvisor, people point out that Pintxo i Trago deserves the 4 star rating. Great tapa in the middle of tourist rip off restaurant hot spot. Help yourself Tapa with good wine. 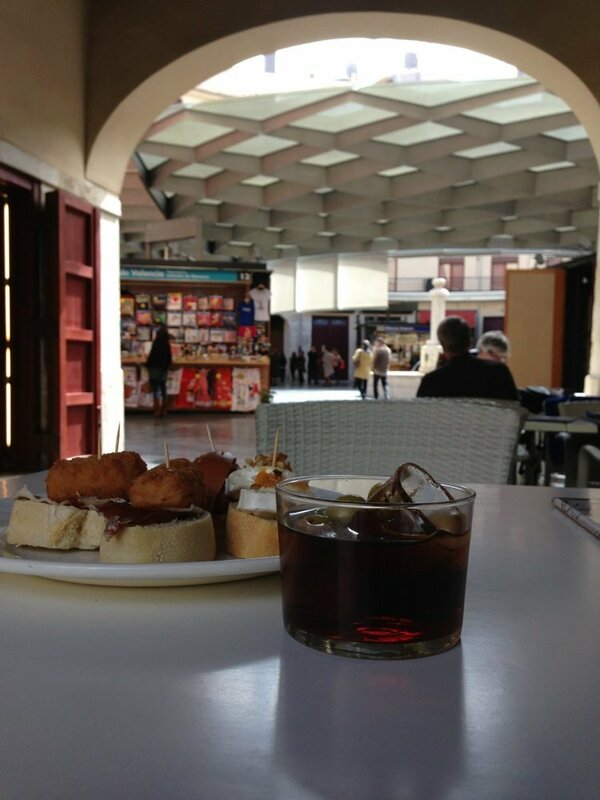 Stop for at least a couple and a glass of Valencian vino tinto! Very cosy, nice atmophere! Staff not overfriendly. Sangria cava and red wine very good. Good food, funny guys, nice views, but a bit on the slower side.